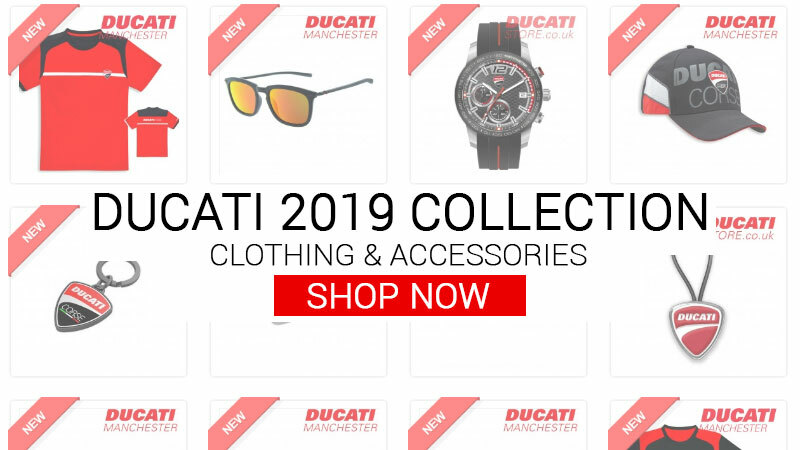 Check out the latest 2019 Collection for Clothing & Accessories from Ducati at our online store. The new 2019 apparel collection includes casual clothing & accessories, merchandise & gifts, plus riding wear & safety gear. 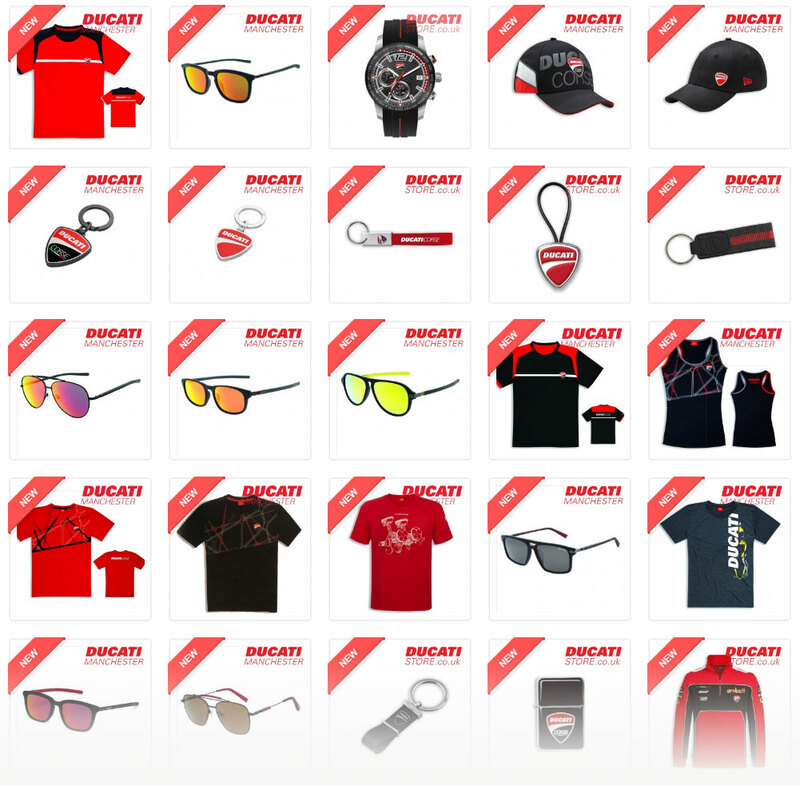 New items for 2019 include Ducati T-shirts, Polos, Sweaters, Alpinestars Redline Sneakers (Trainers), Caps and more. New items for 2019 include Helmets, Gloves, Boots, Jackets and Riding Trousers and Jeans. 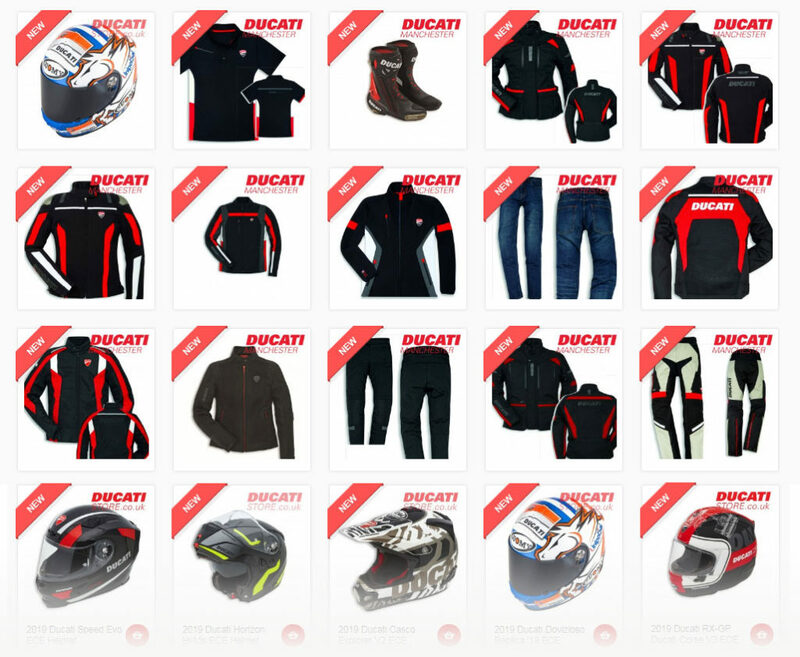 Fast Free Shipping is available online at Ducati Store – The UK’s First Ducati Store since 2001.